The American Health Council’s Board of Nurses is proud to welcome Ms. Claire Byrd, a 12-year healthcare professional currently located at CVS’ Minute Clinic in Jacksonville, Florida, and former Registered Nurse for Mayo Clinic, Jacksonville. Ms. Byrd brings with her a wealth of expertise in Neuroscience and Holistic Nursing. Claire Byrd is nationally certified as an MSN, ARNP, FNP-C, and a CNRN, receiving her Associate’s in 2005 from Florida State College of Jacksonville, her Bachelor’s in Nursing from Jacksonville University in 2010, as well as her certification as an Advanced Registered Nurse Practitioner in 2016 from South University (graduating with a 3.9 GPA). Always knowing she would become a nurse along with her lifelong dream title of Nurse Practitioner, Byrd honed her interests as a young child by watching the Discovery Channel and voraciously reading medical journals. At her current workplace, Byrd participates in day to day responsibilities, including empathy-initiated patient care and holistic approaches to Nursing. Ms. Byrd has been garnered with numerous awards throughout her career, including The Nursing Education and Scholarship Award in 2015, the Caring Healer Award in 2013, the Private Communicator Award in 2014, and the Glenda Taylor Huston Scholarship of Compassion and Courage in 2015, and graduating with High Honors in 2016. 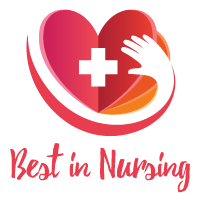 Professional associations include The American Nurses Association and Sigma Theta Tau, the International Honors Society for Nursing, founded in 1922 with over 135,000 active members. Ms. Byrd has also donated time to The Hubbard House, a non-for profit domestic violence shelter in Florida. Ms. Byrd’s goals within the next 5 years include pursuing a professional advancement into the Epilepsy field. She cites being married for 3 years, and being a mother to her 5-year-old (including one “dog-child”), as personal achievements. In her spare time, she enjoys working out, DIY projects, spending time with loved ones, working on cars, and riding her motorcycle. Minute Clinic is a division of CVS Health, the largest pharmacy health care provider in the United States. With more than 800 locations across 28 states, we are the first provider to establish a national presence as well as the largest provider of retail medical care in America. By creating a health care delivery model that responds to consumer demand, we’re making it easier for Americans to access high-quality medical treatment. Practitioners have seen more than 18 million patient visits and have garnered a 95% patient satisfaction rating. More than 3,800 physicians and scientists and 50,900 allied health staff work at Mayo Clinic, which has sites in Rochester, MN, Jacksonville, FL, and Scottsdale/Pheonix, AZ. Mayo Clinic also serves over 70 communities though Mayo Clinic Health System with locations in MN, IA, GA, and WI. Collectively, these locations care for more than 1 million people each year.